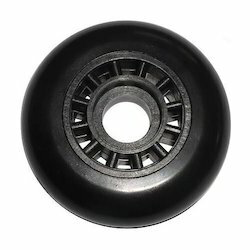 We are a leading Manufacturer & Supplier of Wheelchair Spare Parts such as Wheelchair Head Cushions, Wheelchair Hinges, Wheelchair Handles, Wheelchair Hand Brake Cables, PU Foam Filled Casters, Wheelchair Gas Springs and many more items from India. To attain maximum level of customer satisfaction, we make sure to offer high quality PU Foam Filled Casters to the customers as per their specific requirements. We make sure to use premium quality raw material for manufacturing these products. PU Foam Filled Casters are designed and manufactured by a team of experienced and knowledgeable experts. We have been widely recognized as an eminent name of the industry engaged in offering genuine quality Wheelchair Anti Tips to the esteemed customers. Our range of Wheelchair Anti Tips is designed to perfection by employing latest technology and advanced machinery. Moreover, the range provides safety to the wheelchairs and their users from getting tripped or damaged. 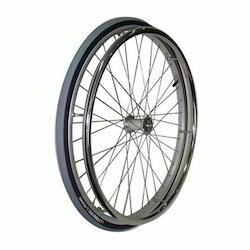 We are engaged in offering excellent Wheelchair Rear Wheels to the esteemed customers at highly competitive prices. These rear wheels allow the wheelchairs to revolve in a jerk-free manner. Moreover, supreme quality steel procured from some of the most trusted vendors of the industry is used to manufacture these wheels. Our esteemed customers can avail from us a high quality range of Wheelchair Foam Filled Tyres to the esteemed customers. These tires are designed by the experts who have rich experience and knowledge in this domain. Wheelchair Foam Filled Tires are filled with high quality foam, which does not allows these getting punctured. We are engaged in offering superior quality range of Wheelchair Anti Tip Wheels to the esteemed customers at highly competitive prices. 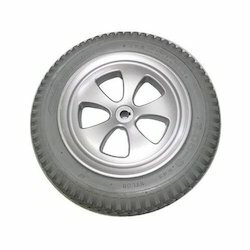 These Wheelchair Anti Tip Wheels are ideal to be installed in electric & manual wheelchairs, scooters and others. Moreover, our range is highly demanded in the market as it is a perfect blend of supreme quality and durability. 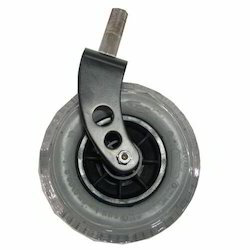 We have gained expertise in offering supreme quality Wheelchair Anti Tips to the customers, as per their requirements. These anti tips are manufactured in compliance with the international quality standards, by our team of highly experienced professionals. Our range of Wheelchair Anti Tips can easily be attached or detached as per clients' preferences. We are instrumental in offering genuine quality Wheelchair Anti Tips to the esteemed customer. These Wheelchair Anti Tips are manufactured using premium quality material sourced from the trusted vendor base. Moreover, we ensure to deliver these products at the clients' end within the committed time frame. We are one of the trusted names of the market engaged in offering genuine quality Wheelchair Anti Tips to the esteemed customers. These wheelchair anti tips are used in designing the wheel chairs, thus, highly demanded in the market. 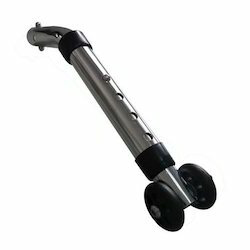 Moreover, these products can easily be installed in front and back of the wheelchairs to avoid them from getting tripped or damaged. We are instrumental in offering genuine quality range of Wheelchair Anti Tips to the esteemed customers in different specifications. These anti tips are designed & manufactured by a team of experts, with the aid of latest technology and advanced equipment. Moreover, we provide these anti tips to the clients at highly competitive prices. With our rich expertise in this domain, we have been able to offer a genuine quality range of Wheelchair Anti Tips to the esteemed customers. These anti-tips are manufactured by a team of adroit & diligent professionals. Moreover, we consider clients' requirements while designing these wheelchair anti tips at our end. Owing to our expertise & experience in this domain, we have been able to offer a superior quality range of Wheelchair Anti Tips to the esteemed customers. These Wheelchair Anti Tips can be fitted in rear as well as front of the wheelchairs to avoid tripping. In addition to this, we check these products on certain well-defined parameters to gauge their flawless nature. 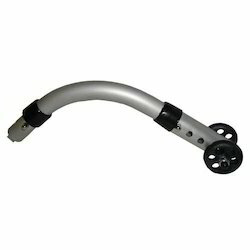 Offered by us is high quality range of Wheelchair Anti Tips to the esteemed customers, as per their specific requirements. These wheelchairs anti tips reflect perfect blend of quality, strength and durability, thus, highly demanded by the clients. Moreover, we employ latest technology & advanced machinery to develop these products. We have been known for offering genuine quality Wheelchair Anti Tips to the customers. These Wheelchair Anti Tips are designed as per clients' requirements, by our team of experienced professionals. Our range is widely used in wheelchairs to avoid the problem of tripping. Besides, we ensure to deliver the ordered products at the clients' end within the committed time frame. We are one of the most eminent names of the market engaged in offering superior quality Wheelchair Anti Tips to the customers. Our range is widely installed in wheelchairs to avoid any type of damage that can be caused to them. Moreover, we make use of high quality raw material to manufacture these products in compliance with the international quality standards. 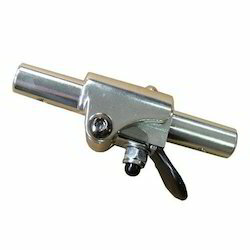 We have been widely known for offering superior quality Wheelchair Clamp Brakes to the customers. Our range of Clamp Brakes is made using high-grade raw material and by employing latest facilities. Moreover, we make sure to deliver the ordered consignments at our clients' end within the committed time frame. 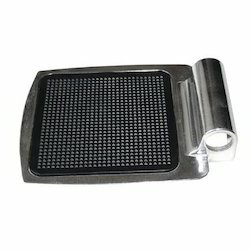 We have been able to offer high quality Wheelchair Foot Pads to the esteemed customers. These Wheelchair Foot Pads are designed in compliance with the international quality standards. Moreover, these products are used to provide complete comfort & rest to the feet of the person who uses the wheelchairs, thus, highly demanded in the market. 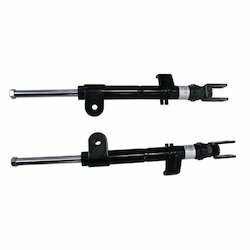 With our vast industry expertise, we have been able to offer an excellent range of Wheelchair Gas Springs to the esteemed customers. 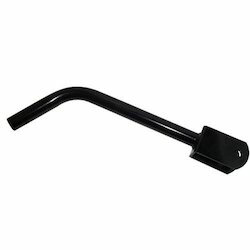 These products are manufactured using high-grade steel procured from some of the certified vendors of the industry. Besides, we make sure to deliver the ordered products at the clients' end within the committed time frame. 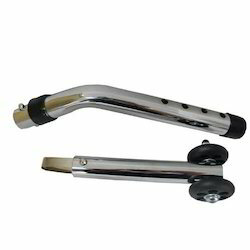 Our esteemed clients can avail from us high quality Wheelchair Handles to the esteemed customers at highly competitive prices. 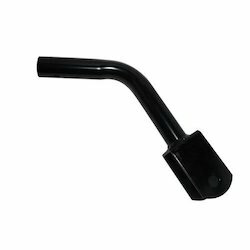 These handles are designed in compliance with the international quality standards. 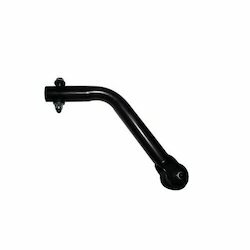 Moreover, we design these handles by keeping the needs of our clients in mind, which helps us in gaining the trust of our clients. 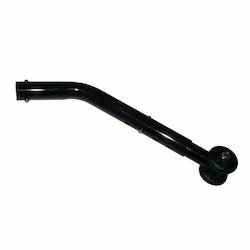 We are one of the renowned names of the industry engaged in offering superior quality Wheelchair Hand Brake Cables to the customers. 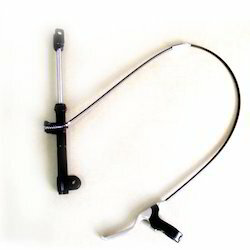 These Wheelchair Hand Brake Cables are widely used to manufacture wheelchairs. Moreover, we test these brake cables on certain well-defined standards to gauge their flawless nature. 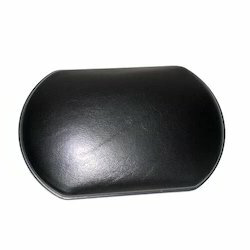 We have been widely recognized as a trusted names engaged in offering high quality Wheelchair Head Cushions to the esteemed customers at highly competitive prices. These head cushions are manufactured by employing latest technology & advanced machinery. Moreover, the head cushions offered by us are used to give support to the head and shoulder of users. 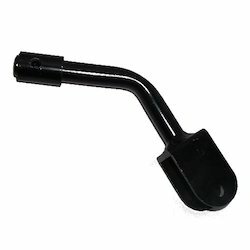 Our range of high quality Wheelchair Hinges to the esteemed customers, as per their specific requirements. These Wheelchair Hinges are manufactured by employing latest technology and advanced machinery, at our state-of-the-art infrastructure. In addition to this, we provide maintenance services for Wheelchair Hinges to the clients. 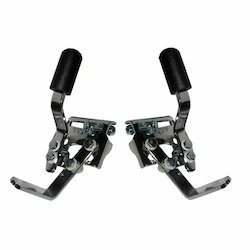 We are one of the well-known names of the industry engaged in offering high quality Wheelchair Pedals to the esteemed customers. 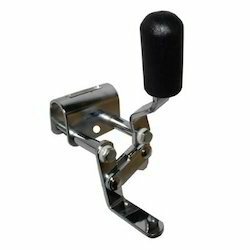 These pedals are ideal to be installed in different models of wheelchairs with utmost ease. 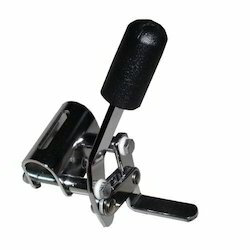 Our team of professionals makes sure to design these pedals in compliance with the international quality standards. 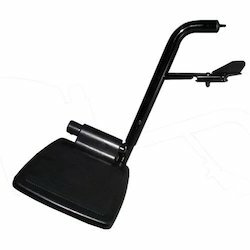 We have attained expertise in offering a high quality Manual Wheelchair Foot Rests to the esteemed customers. These foot rests are designed as per clients' requirements to attain their maximum level of satisfaction. Moreover, our range is manufactured using high-grade raw material procured from the trusted vendors of the industry. 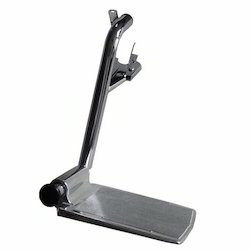 We have been widely known for offering genuine quality range of Wheelchair Footrests to the esteemed customers. 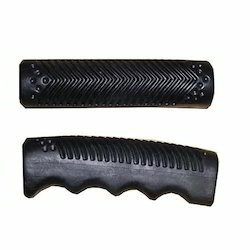 These foot rests are manufactured by employing latest technology and sophisticated equipment, under the expert supervision of our team of skilled professionals. Moreover, these Wheelchair Foot Rests are manufactured using high-grade stainless steel procured from the trusted vendors of the market. We have been widely known in the market for our ability to offer an excellent range of Wheelchair Leg Rests to the esteemed clients. High-grade raw material along with latest facilities are used to manufacture these leg rests. 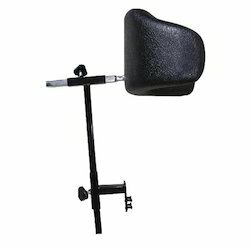 In addition to this, we design these Wheelchair Leg Rests as per the requirements of our esteemed clients. 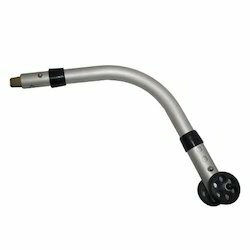 We have been able to offer high quality Wheelchair Hand Brakes to the esteemed customers as per their specific requirements. 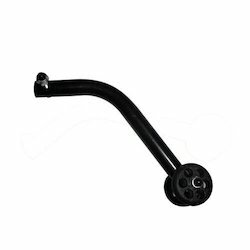 These brakes are designed as per the different models of wheelchairs available in the market. Moreover, we make sure to test these products on certain well-defined standards to gauge their defect-free nature. We are instrumental in offering high quality range of Stainless Steel Wheelchair Brakes to the esteemed customers. These brakes are manufactured by high-grade stainless steel and by employing latest technology & machinery. Widely used in wheelchairs, these brakes are made available to the clients in varied specifications. 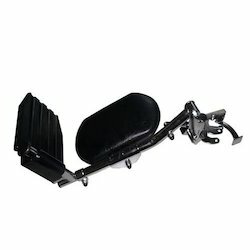 Looking for Wheelchair Spare Parts ?